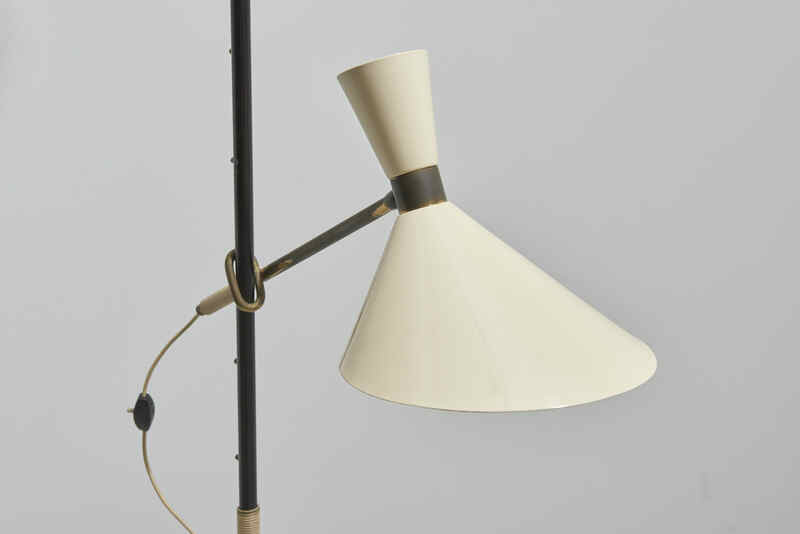 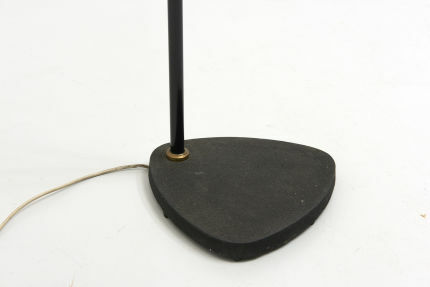 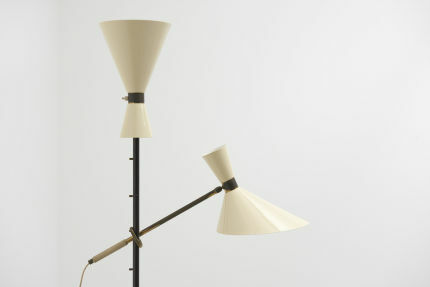 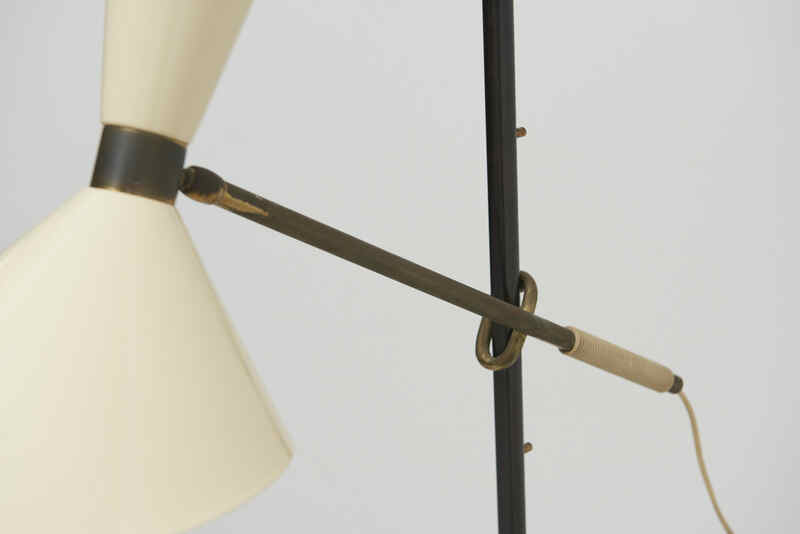 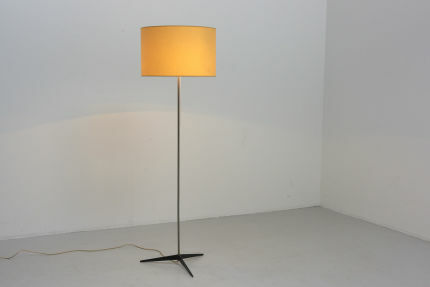 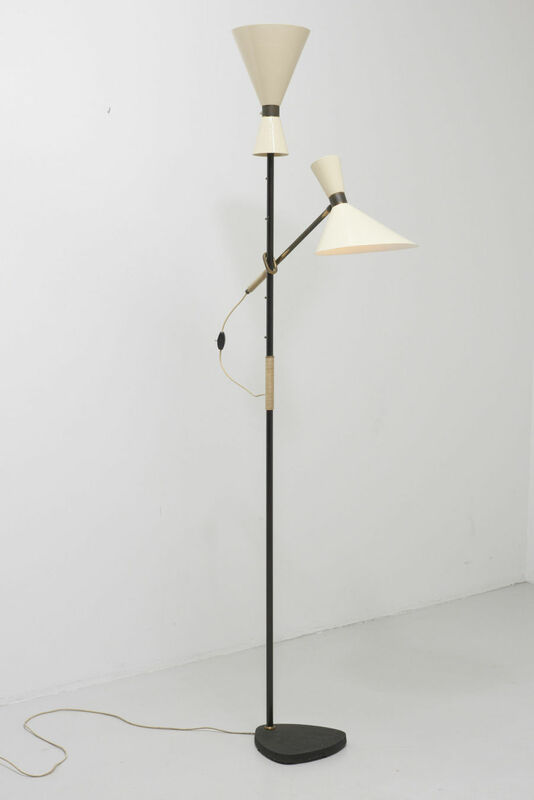 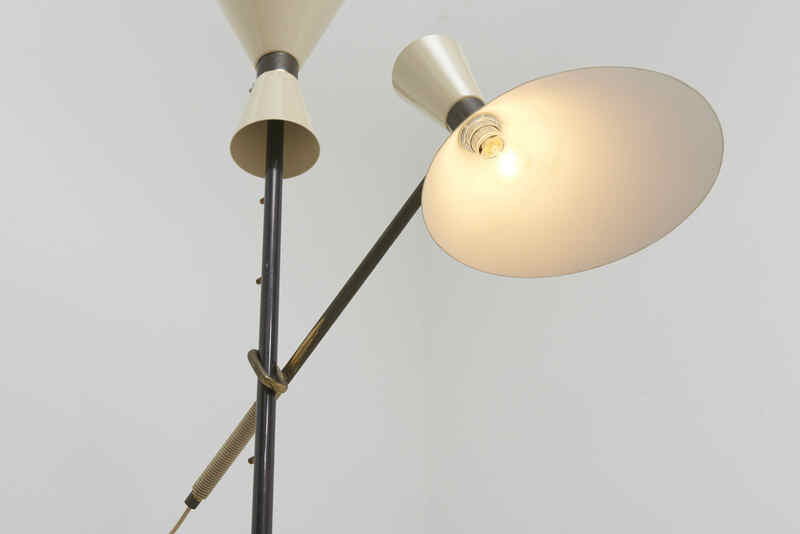 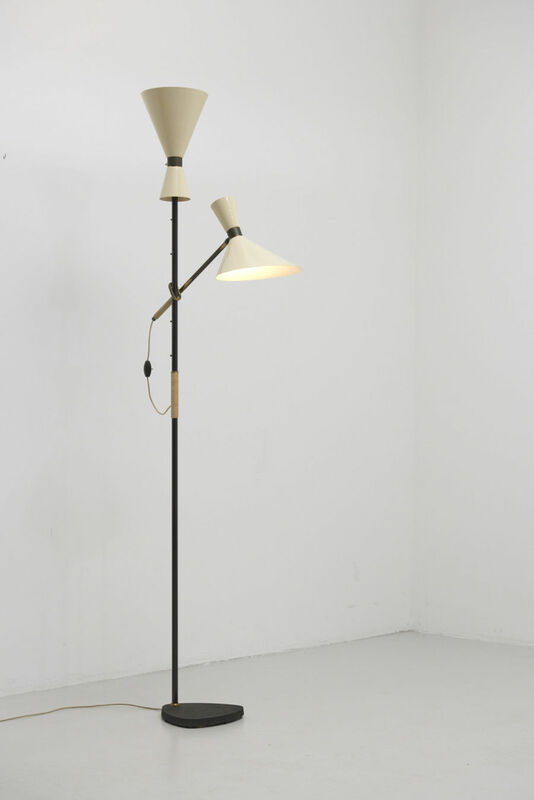 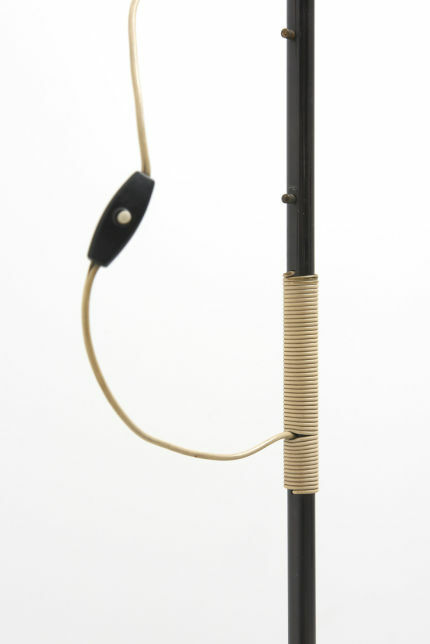 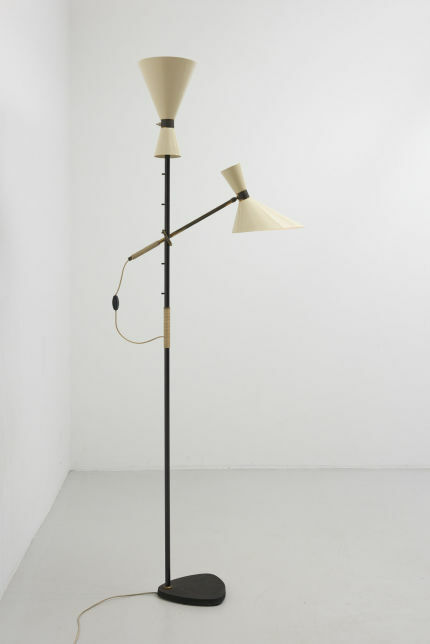 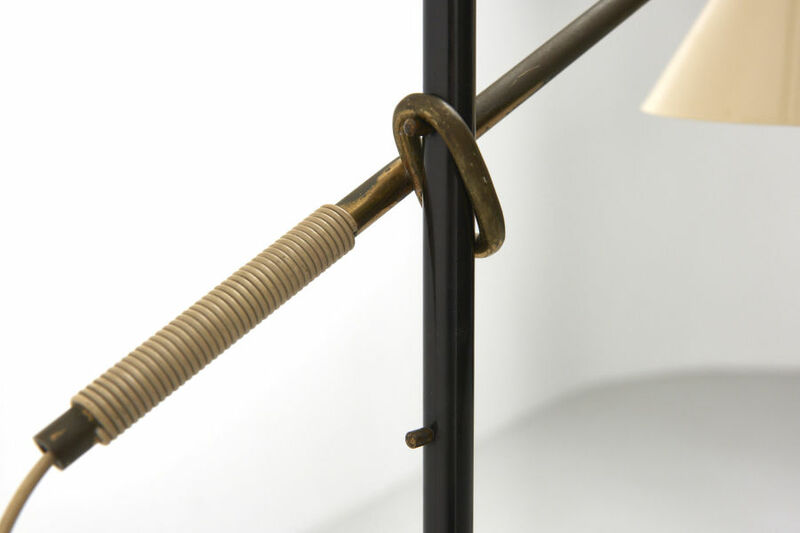 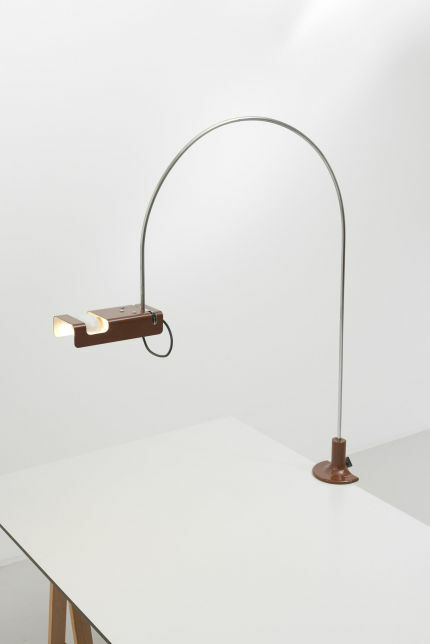 A floor lamp 'Pelikan,' in black lacquered steel and brass. 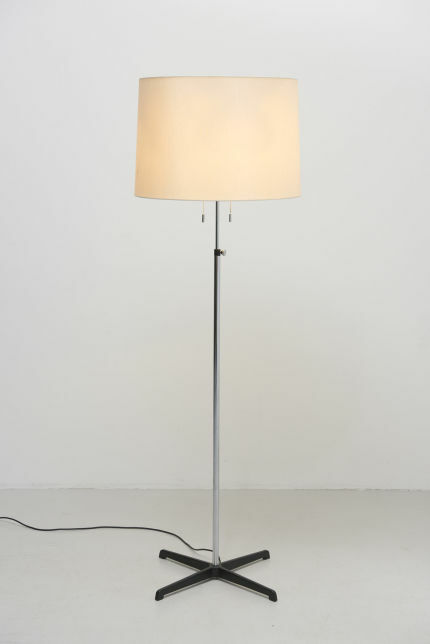 Made by J.T. Kalmar, Austria, 1950s. 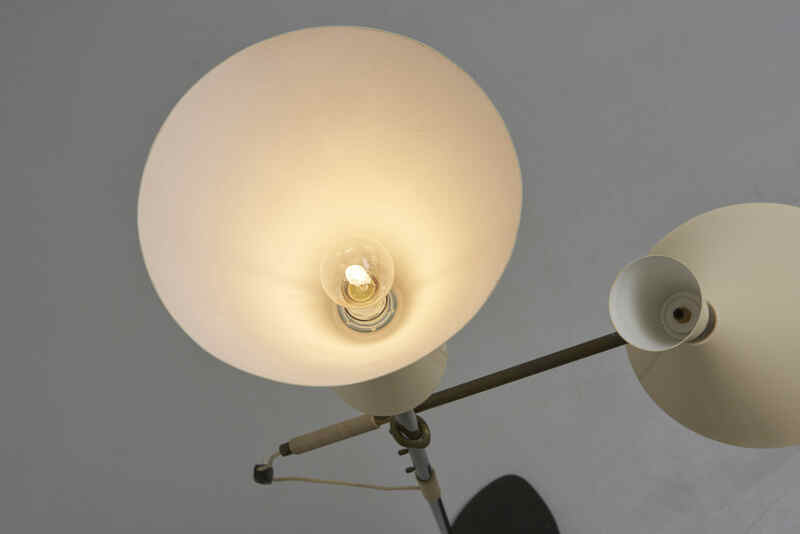 Adjustable in height. Rare edition with 2 shades. 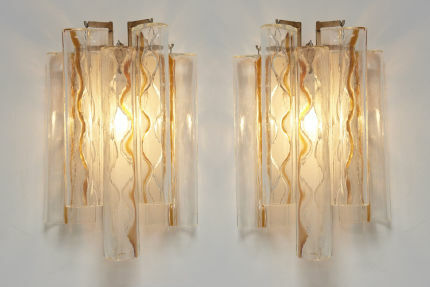 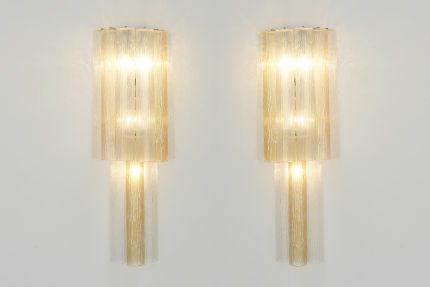 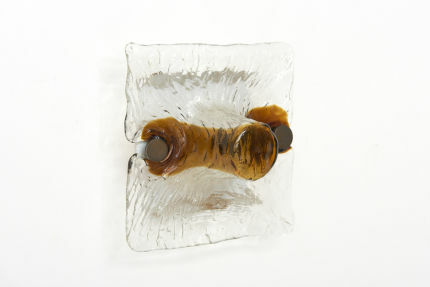 Holds 2 E14 bulbs, with a seperate switch. 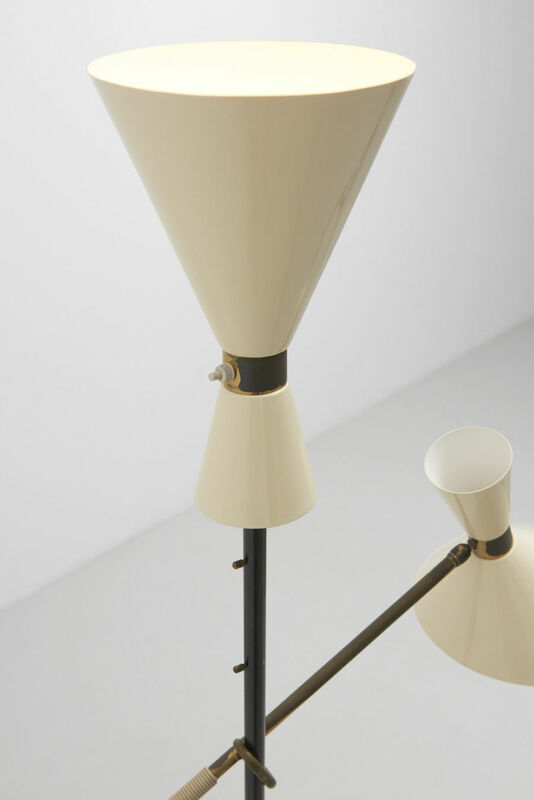 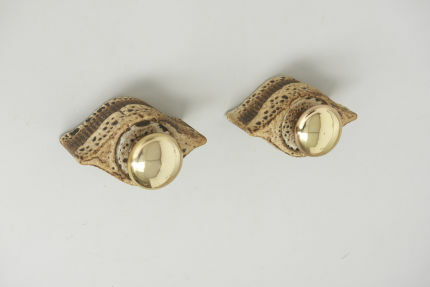 The lacquer of the shades and the fittings have been restored.